As famine stalks on millions of Ethiopians, landlocked Ethiopia finally forced to take practical actions and look for alternative ports on top of the tiny and highly congested Djibouti port. According to the new deal, Ethiopia will divert 30 percent of its import and export to Somaliland’s Berbera Port. 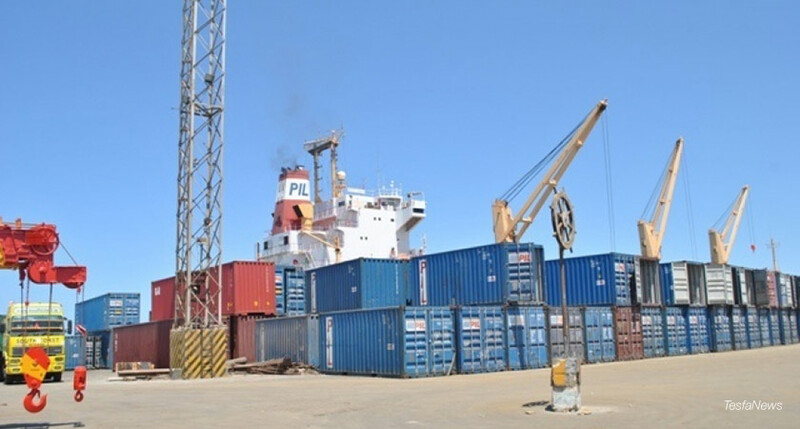 Ethiopia signed a deal to boost trade through Somaliland’s Berbera port amid congestion at a facility in neighboring Djibouti, officials said. Tariffs have been revised and a committee established to manage joint operations as part of the agreement signed on March 31, Sharmarke Jama, an economy and trade adviser for the foreign ministry in the semi-autonomous Somali region, said on Monday. The committee will work on the “smooth implementation of the bilateral agreement and for improved facilitation of transit trade along the corridor,” he said in an e-mailed response to questions. Landlocked Ethiopia more than doubled its cereal imports in the last 12 moths as a drought left almost one-fifth of its population of around 100 million people needing food aid. On March 24 there were 10 ships waiting to unload 450,000 tons of wheat at Djibouti. Ethiopia wanted 30 percent of its trade to go via Berbera by July last year, according to a five-year growth plan published in 2010. As much as 97 percent of shipments are still going through Djibouti because of problems with the capacity and condition of Berbera’s port, the poor state of roads to Ethiopia and the lack of international recognition for Somaliland’s statehood claims, said Ethiopia’s Transport Minister Workneh Gebeyehu. It isn’t clear how many ships carrying Ethiopian cargo Berbera will be able to deal with, although there is a plan for coal imports to go through the port, Workneh said. Port Sudan is already receiving fertilizer for northern areas of Ethiopia, he said. The Berbera Port Authority held discussions with U.S. Agency for International Development (USAID) officials about aid imports, Jama said. The facility delivered 40,000 metric tons of wheat in February through Berbera for the UN World Food Programme to distribute to Ethiopians, according to the UN. Somaliland’s government has shortlisted Bollore SA, P&O, which is owned by DP World, MSC Group’s Terminal Investment Ltd, and Prime Africa for a Berbera renovation project, Jama said. According to Oxfam between 50% to 90% of Ethiopia suffered all or major crop failure due to the latest, greatest drought (this is just a guess because Oxfam isn’t allowed access to most of Ethiopia). Millions upon millions have now exhausted their food stocks and major starvation has begun. Desperate for food aid to be unloaded, aid agencies are begging the Djibouti port authorities to work faster, but the port of Djibouti is small and creaky and completely unable to keep up with the desperate need. Enter Eritrea, home to not one but two ports on the Red Sea, with the southern and larger of the two, Assab, having been given a major upgrade by the Emirates this past year. All backlog of food aid would be cleared up quickly if Ethiopia will only use the Eritrean ports, an offer repeatedly made in the past during droughts to no avail. The question has to be asked, what kind of government sits back and allows tens if not hundreds of thousands of its own people to die of starvation because of some political dispute with its neighbor? Only Ethiopia is allowed to get away with deliberately starving its own citizens, for there is supposed to be enough food aid in the pipeline to prevent the worst of the famine and only the shortage of port facilities in Djibouti is preventing its distribution. Why isn’t the USA and its lickspittles in the EU pressuring the Ethiopians, who are supposed to be under UN Article 7 Sanctions for their refusal to accept final and binding peace and border agreements, and entirely dependent on foreign loans to keep running ($11 billion in 2015)? The politics of famine is what its all about as death from starvation stalks Ethiopia, again.